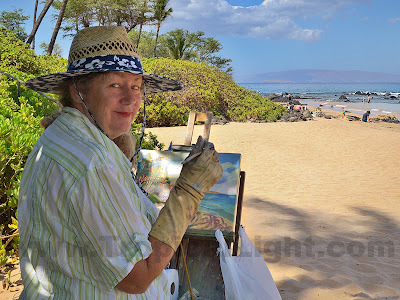 I was smitten by the style and use of color in the painting this plein-air artist was creating this morning on the beach. So much so, that I went to Karen's studio later in the day and bought the oil painting below. Well, actually I finagled Doug into buying it for my upcoming birthday. He never knew what hit him and his wallet until it was too late. Poor guy. Love it. Where is her studio? Cole loves to paint. He has done abstracts. Laura and Rory absolutely love one of his...but I'm not giving it up. 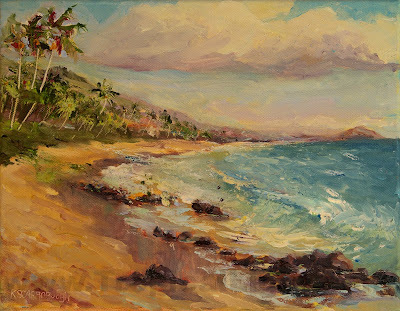 Beautiful painting! and beautiful photo of the artist, you both are shinning artists! What a great birthday present. Can't wait to see it hanging in your home. 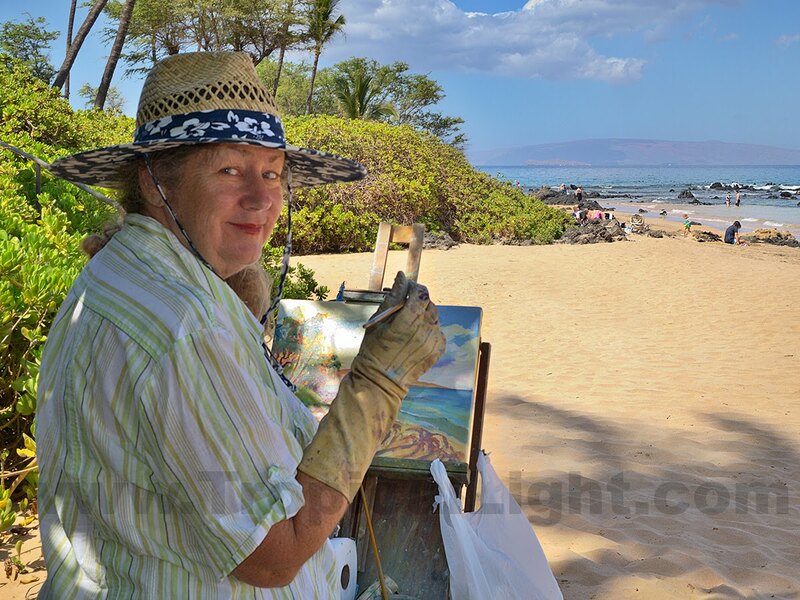 Love it, and I think I recognize the beach where she is painting. Happy birthday!